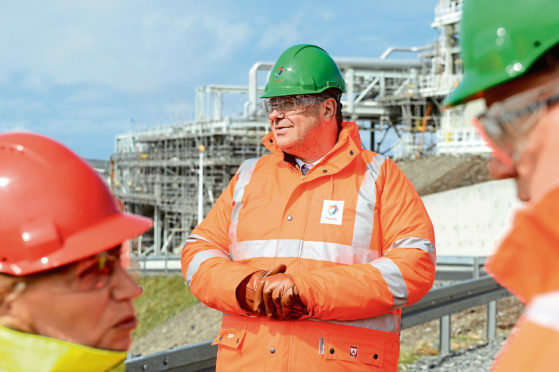 Totals Chairman and CEO, Patrick Pouyanne, at the Shetland Gas Plant. Trade union Unite has agreed an improved pay deal from French oil giant Total concerning staff working at Shetland Gas Plant. The announcement comes following a consultative ballot in which 65% of members voted in favour of the new deal with a 94% turnout. According to Unite, the deal includes a base salary increase of 15% and a “significant” retention bonus. To read more on Energy Voice click here.